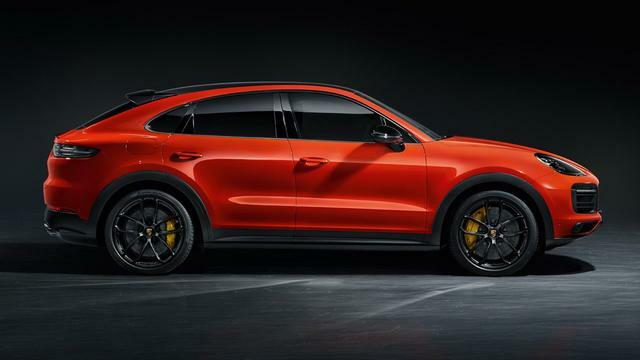 Porsche is following the competition now with a coupé version of its large SUV. The Cayenne Coupé must therefore compete with cars such as the Audi Q8, BMW X6 and Mercedes-Benz GLE Coupé. The Cayenne Coupé is its highest point two centimeters lower than the regular Cayenne. In addition, the windshield is slightly flatter. The license plate is now no longer on the tailgate, but now has a place in the bumper. Porsche also mounts a rear spoiler, which comes up at 90 kilometers per hour for extra downward pressure. The Cayenne Coupé comes standard with a glass panoramic roof, while a carbon-fiber model is on the option list. A normal rear seat must also be checked separately, since the car is factory-fitted with two rear seats. The luggage space of the Coupé is 625 liters smaller than that of the regular Cayenne, which can hold 770 liters. The entry level model is powered by a 340 hp V6 engine. This version accelerates to 100 kilometers per hour in 6 seconds and reaches a top of 243 kilometers per hour. The Turbo version has a V8 with 550 hp under the hood. With this the car sprints to 100 kilometers per hour in 4 seconds and continues to 286 kilometers per hour. In the long term, an S-version and a plug-in hybrid will most likely follow. The prices of the Cayenne Coupé start at 124,000 euros. The Turbo version costs 204,000 euros.